Offers hands-on experience in latest techniques in pain management like nerve blocks, chronic pain procedures, Ultrasound Guided Regional Anaesthesia etc. 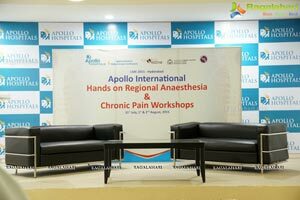 Apollo Hospitals, Hyderabad, is hosting the first of its kind three day workshop in Telangana, on Anaesthesia and Chronic Pain - Apollo International Hands on Regional Anaesthesia & Chronic Pain Workshop, from July 31st to August 2nd, 2015, at HICC, Novotel. 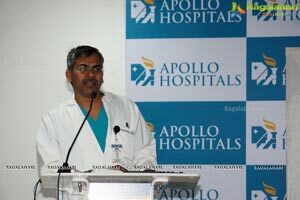 The details of the Workshop was announced at a Press Conference by Ms Sangitha Reddy, Jt. 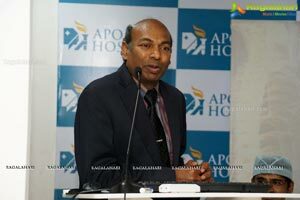 Managing Director, Apollo Hospitals Group; Prof. Krishna Boddu, Co Director, International Medical Education, Govt, of Western Australia & adjunct Professor of Anaesthesiology, Univ. 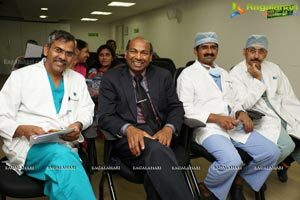 of Texas Health Sciences, Houston and Apollo Hospital's Sr. Consultants - Anaesthesiology, Dr. Shekhar Reddy, Dr. Sanath Reddy and Dr. U. Srinivas. 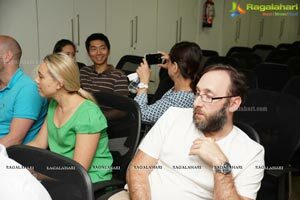 The Workshop will expose delegates attending from all over India to the latest techniques in pain management. 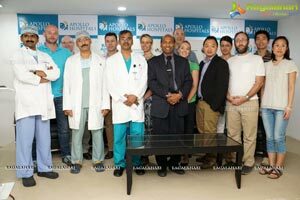 Internationally renowned faculty including Course Director - Prof. Krishna Boddu, Dr. Adriano Calzolari, Dr. Brian Hue, Dr. Christine Grobler, Dr. Gene Palmer, Dr. Matt Haggett, all from Australia and Dr. Keyuri Popat, Dr. Roxana Grasu, Dr. Michael Grecula, Dr. Ranganathan Govindaraj, Dr. Courtney Williams, Dr Madhumani Rupasinghe-from USA, will provide three days of intensive hands-on experience to the participants. Some of the highlights the Work shop will be focusing on are blocking the transmission of pain at the source, thereby controlling pain effectively; methods to treat chronic pain; Ultrasound Guided Regional Anaesthesia; hands on experience in chronic pain procedures on cadavers using portable x-ray machine and ultrasound machines etc. 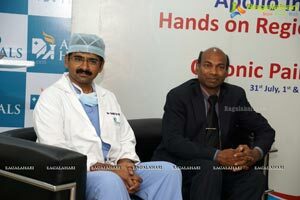 The delegates will be acquainted with the nerve blocks and other chronic pain procedures using unique teaching structure with application of modem technology developed by Prof. Krishna Boddu. Acute pain - pain after surgery and injury lasting not more than 3 months, and chronic pain - pain lasting more than 3 months, is one of the most debilitating symptom and disease in the world. It is very well established that if acute pain is well managed at the beginning to patient's satisfaction with a goal to restore functionality, the incidence of chronic pain is less. In developed countries unbelievable amounts of resources are allocated to treat pain and to ' conduct research in the field of pain management to identify various causes that leads to chronic ’(iaift, ways to prevent progression of acute pain, cancer pain to chronic pain and treat pain effectively. 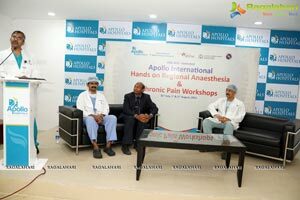 In contrast, in India, several leading institutions like Apollo Hospitals are taking keen interest to manage pain effectively with a goal to restore patient functionality. However, the pain management after injury and surgery in India is still far to be considered as adequate due to lack of technical knowhow, medications, cost and resources. Patients here are suffering with severe pain after injury or surgery due to lack of easy access to narcotics such as morphine that are gold standard for providing pain relief. Other alternatives to provide pain relief are nerve blocks, where in one part of the body or limb is put to sleep or made numb. This requires special skills and equipment. In western world, both conventional pain medications and also skill set to do nerve block are accessible to provide pain relief for patients. 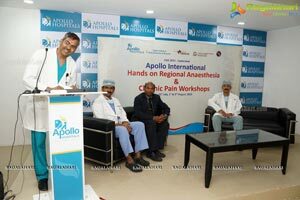 Though physicians in India are enthusiastic to learn techniques to conduct nerve blocks safely and effectively, the stumbling block is the training facilities being still in infancy state, except in certain institutions like Apollo Hospitals. The use of ultrasound for nerve blockade is becoming popular in the last 10 years. Ultrasound machines are already used extensively in checking welfare of baby while in mother's womb. Similar machines with few modifications can be used to facilitate depositing local anaesthetic around the nerves to numb them and provide excellent pain relief. Regional anesthesia, used to put a particular part of the body to sleep such as an arm or a leg, always works, provided the right dose of the right drug is injected at the right place - around the nerves supplying that limb or organ. Traditionally this is done by blindly inserting needle with knowledge of anatomy and guessing the location of the nerve, which is not wholly reliable. The introduction of nerve stimulator made it possible to estimate how dose the needle tip was to the nerve, but still relied on guesswork to take the needle to nerve. Other dues such as blood vessel pulsations, pop sounds, certain type of pain that patient experiences when touching nerve with needle are used to enhance guesswork. In contrast, ultrasound offers the ability to visualize all of the following in real time: relevant anatomical structures, how the needle is advanang inside, needle-nerve interaction, and spread of numbing mediane around the nerve when injected, its usage greatly improves the ease of block performance, block success rates and decrease complications. Indeed, ultrasound-guided nerve blocks have been hailed as the new gold standard with respect to efficacy and safety, points out Dr Boddu. However, Ultrasound-guided regional anesthesia is a unique skill in its own right. 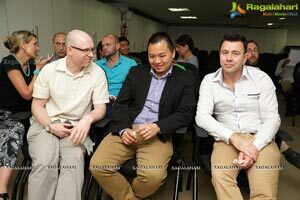 Proficiency in it requires training and experience by following certain standards and guidelines. 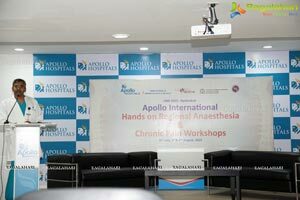 This workshop is designed to provide the required basic knowledge and skills for anaesthesio/ogists, even less experienced practitioner will be able to conduct nerve blocks with confidence, says Dr Boddu. Pain Is Inevitable but Suffering Is Optional, concludes Dr Boddu.